“There’s something about Sacramento” can have any number of connotations – some good, some not so good. Whether it’s pining for that old Delta breeze, drinking on the porch, enduring the pain of another stolen bike, ridiculously hot summer days or other such pleasantries, no one can say our breezy little burg lacks charm. Being a native it is always a nice surprise to meet a transplant who appreciates, and even embraces the subtle allure of our fair city. Ruhstaller founder J.E. Paino definitely falls into that category. Paino graciously agreed to sit down over a few beers to discuss how he ended up in the Camellia Capital. A San Francisco native hailing from a family of Sonoma Valley grape growers, Paino bounced from Texas to New Jersey before returning to California where he obtained an MBA from UC Davis. Unsure of what to do next, he turned his attentions to beer although admittedly he knew little about it. With his family background he was no stranger to the commitment required to produce some of the world’s best wines and Paino found himself asking the age old question: why should be beer be treated any differently? 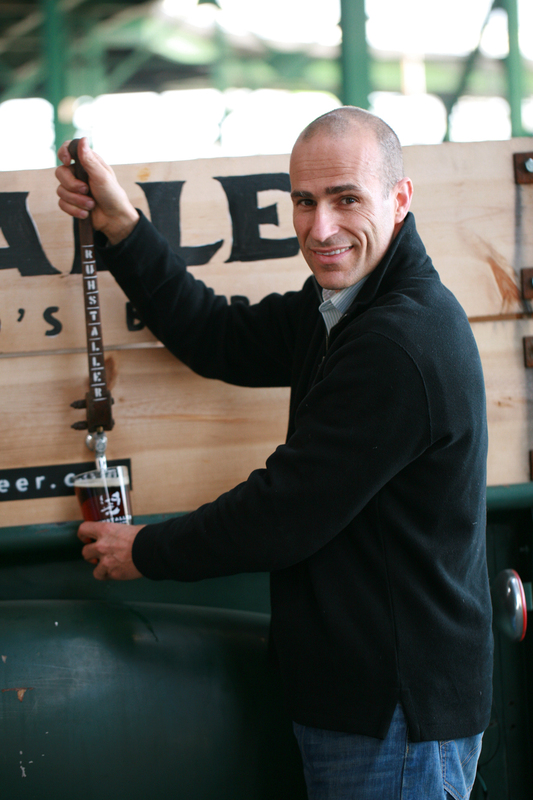 Fortunately he ended up asking the right person: Charles Bamforth, lead professor of brewing science at UC Davis. When Paino divulged his interest in starting a brewery Bamforth suggested he contact Peter Hoey, one of the valley’s most skilled and respected brewers. The pair soon reached an understanding and Ruhstaller, one of several breweries now emerging in the Sacramento region was born. That being said, anyone who has home brewed is painfully aware that enthusiasm does not generally equate to good, or even drinkable beer. Nor can it be refuted that a brewer’s primary responsibility is to the drinking public, so the natural path of inquiry led to an interrogation of Paino on the subject of Ruhstaller’s quality and current and future beers. Paino declared that his 1881 red session ale is the company’s “foundation” beer and their attempt to capture “Sacramento in a bottle.” At the moment they are also offering the annual Hop Sac ’11 and a remarkable Black India Pale Ale known as The Captain to fill out their roster. Paino assures us that further surprises are forthcoming. 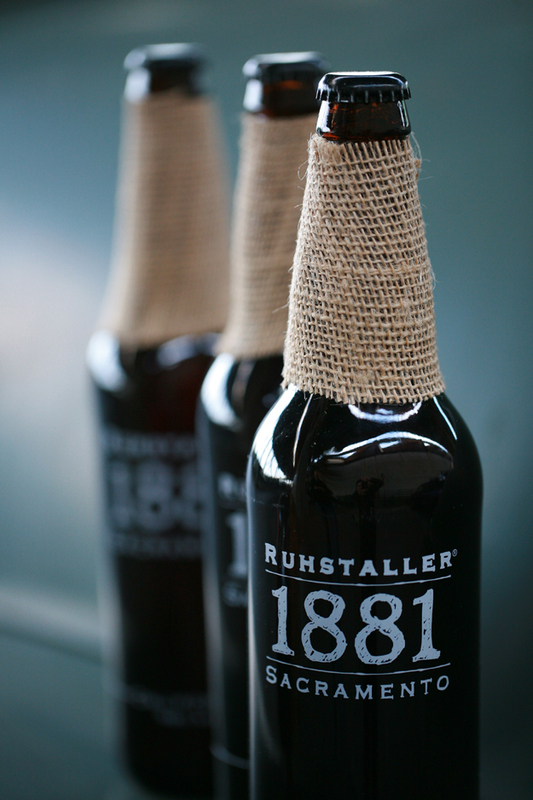 Recently, Ruhstaller finished their first bottling session in which the deal was sealed on 233 cases of 1881 and they have an eye on bottling additional brews in the coming months. Producing 120 barrels in their first “season” Ruhstaller can hardly be considered an industry giant but they are already quite well distributed. Ruhstaller beer can be found at Whole Foods, Corti Brothers and Taylor’s in addition to local “hop” spots Pangaea, Samuel Horne’s and the Davis Beer Shop to name but a few. With this network accounting for the majority of their production, the pair does not plan to open a brewery, choosing instead to make use of a few local manufacturing facilities. Not that such an option has been ruled out, but at the moment Paino says his foremost priority is the quality of Ruhstaller beer. What makes this venture all the more intriguing is the harmonious blend of Paino’s business acumen with his reverence for Sacramento’s history. Now many of us know from personal experience Sacramento does its part when it comes to beer consumption, but observing that Sacramento contained more than a few breweries during the 19th century, Paino wanted to tap into the atmosphere of the city’s pioneer brewers and honor their traditional styles. Using California grown barley and hops as the pioneer brewers did helps strengthen the connection between Sacramento’s brewing past and present. To really bring it all together Paino resurrected a leading figure from Sacramento’s brewing past, hence the company’s namesake. For no other 19th century disciple of King Gambrinus left more of a mark on local brewing than Switzerland native Captain Frank Ruhstaller. Already a trained brewer, Ruhstaller quickly landed a job upon his 1865 arrival in Sacramento at the City Brewery on 12th and H streets. Over the next decade he owned and worked at various local brew houses while delving into saloon ownership and real estate. 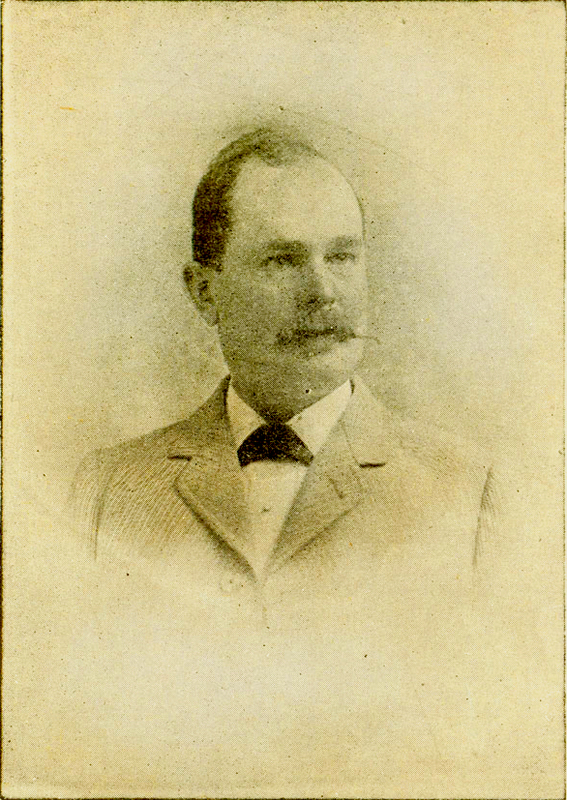 In 1881 he assumed ownership of the City Brewery from his old employers. Over the next decade technological improvements initiated by Ruhstaller doubled production making his beer not only readily available but, in combination with skillful brewing and advertising campaigns, extremely popular too. Melding the pioneer spirit with modern sensibilities his brewery and beer became synonymous with Sacramento. Ruhstaller later played a major role in the establishment of the celebrated Buffalo Brewery and worked tirelessly to improve the local brewing industry until his death in 1907. Sadly, prohibition left brewers and consumers in the lurch. With brewing no longer the legitimate, honorable trade it once was, attentions turned elsewhere and the industry largely forgotten. Even with the return of legal suds in the 1930s, Sacramento, like countless cities across the nation never regained its brewing form. The triumph of national brands over local flavor meant that communities no longer had a unique local beverage they could identify with. It is just this void that Paino hopes to fill. The recent popularity of local tap houses and breweries is long overdue, especially when considering Sacramento was once a large market for production and consumption. With all of this activity we may be closer than ever to recapturing the spirit of Sacramento’s Golden Age of brewing. The friendly competition among Sacramento’s breweries will benefit all who feel they deserve a few options and is a welcome trend in a time when many things around town seem about as backward as they can possibly be. If our city gets one thing right, please let it be beer. As a citizen one can only hope that Ruhstaller and all of Sacramento’s beer related endeavors will flourish, and as a beer drinker one can only hope we truly are witnessing our city’s brewing renaissance. Great article! “City brewing renaissance”–maybe too early to get my hopes up, but those crowds at Track 7 seem to indicate a sizable latent demand for local brews! I’ll gladly buy and share plenty of Ruhstaller beers (only had the red so far–one of the best reds I’ve had) and I hope some day to have a pint with the brewer in his own place. Maybe a cheap rent place on Broadway or Franklin to take advantage of the proximity to Track 7, Pangaea and the upcoming New Helvetia? A SoBro (South of Broadway) Brew District! Heck, there’s a building downtown on J and 9th Street that already has “Ruhstaller” on the side–he wouldn’t even need a new sign! Any spots in there for lease? Feb 18, 2012: Ruhstaller’s The Captain Black IPA Now on Tap!